My first infographic. Let’s get the word out about sugar limits and kids! Click on photo to expand. Tags: AHA, sugar. Bookmark the permalink. For your next infographic, you should try to incorporate a more visual image – they’re usually a quick-look statistic represented in a picture/chart that requires little reading, like at the bottom of the USA Today newspaper. 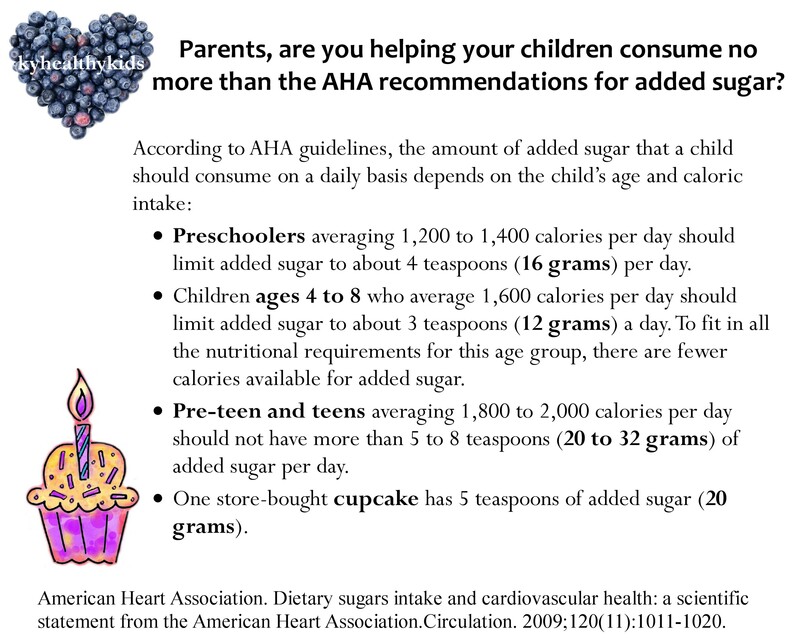 To start, take the statistic or information and assign a graphic value – Say a clipart teaspoon of sugar. You could show a kid of varying sizes (diapered, crawler, schoolkid, teen) and how many spoons that kid can have – or, since you offered that a cupcake is 5 spoons, 1/2 cupcake, 3/4 cupcake, whole cupcake…. to visually represent the data. Not bad for a first try, though! Keep up the great work. Thanks Cheryll for the good suggestions! Great info! The sugar amt relative to the total amt of calories available is really good info too. I’d list a bar chart of total calories by age, with the portion of the bar shaded to reflect the % of sugar calories. within that shaded area you could show the tsp counts. Thank you Tara for the helpful feedback!